Made from commercial grade aluminum, our Aluminum Gooseneck Light with 10in. Emblem Shade is a great solution for business owners who are meandering away from the use of internally lit sign boxes. The shade is rated for bulbs up to 150 Watts. Outdoor storefront lighting is especially important for businesses such as cafes, restaurants, and bars that are opened after sunset. As well as attracting foot traffic and potential patrons driving by, outdoor lighting helps customers feel safer. 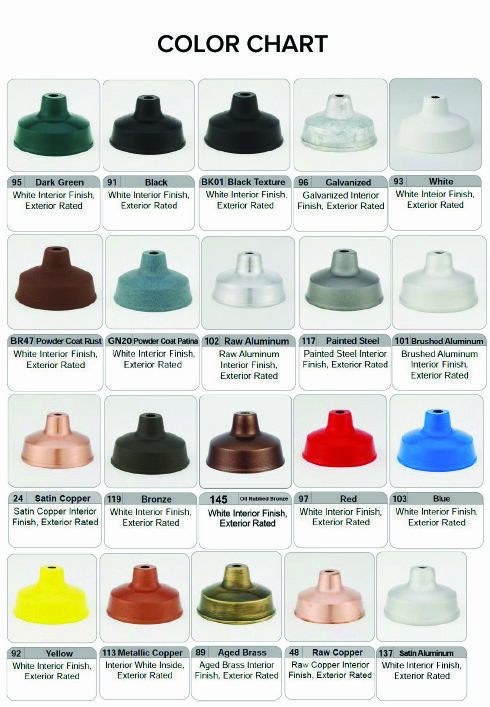 There are over 20 color options for our aluminum gooseneck lights to choose from in order to ensure the best possible match! Each compact fluorescent gooseneck light has a dual voltage (120V/277) integral ballast. Use with 26, 32 or 42w 4-pin PL-T lamps (not included). Emblem Shades are also available in other sizes and on different gooseneck arms. Sign Bracket Store can take custom orders by request; please call toll free for a price quote.